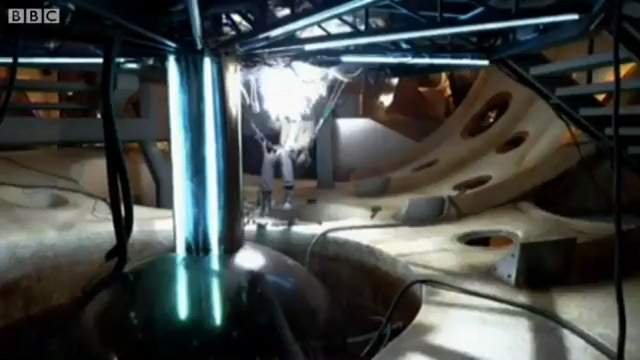 An amazing illusion where the Cybermen appear to follow you around the room! 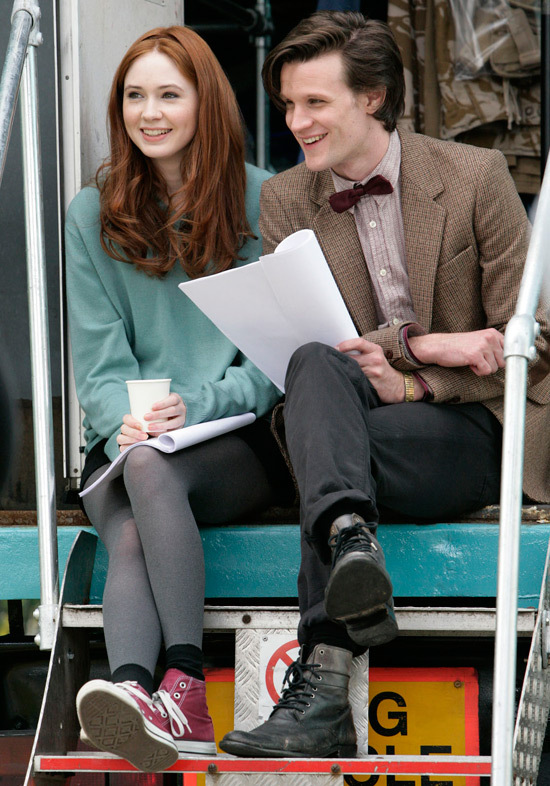 Matt Smith and Karen Gillan relax between shots in filming the 2010 series of Doctor Who. 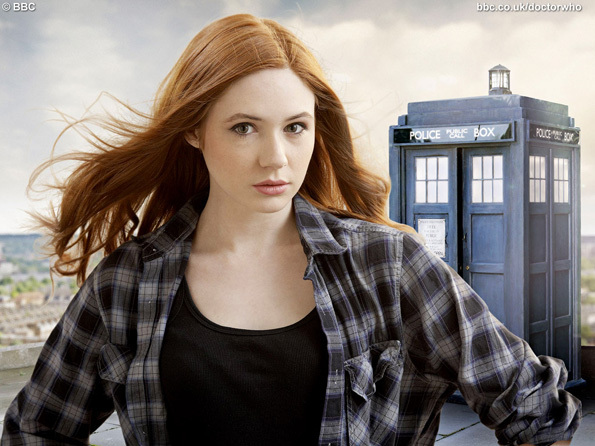 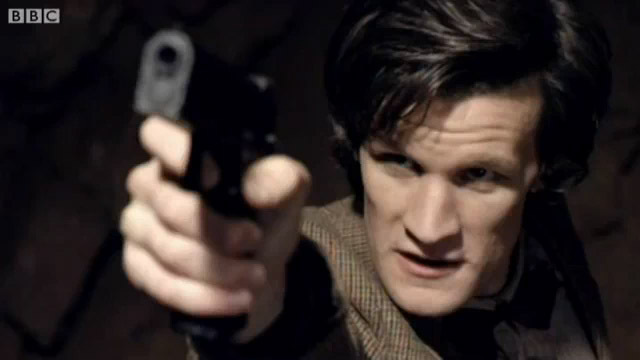 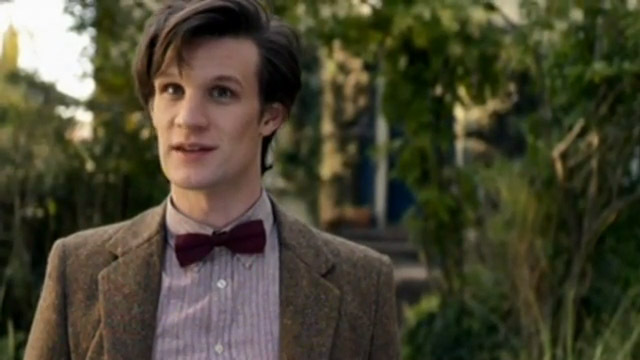 They respectively play the eleventh Doctor and companion Amy Pond. 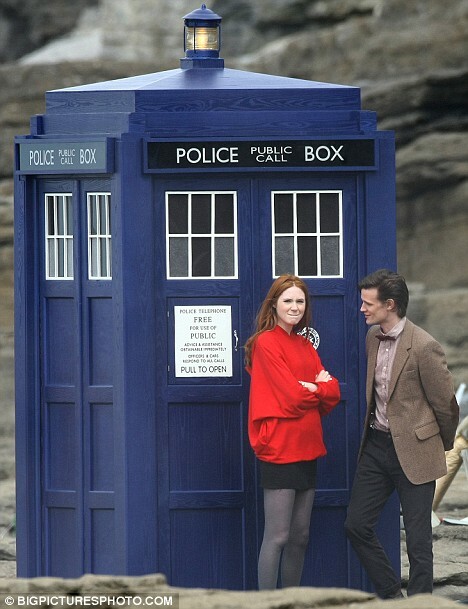 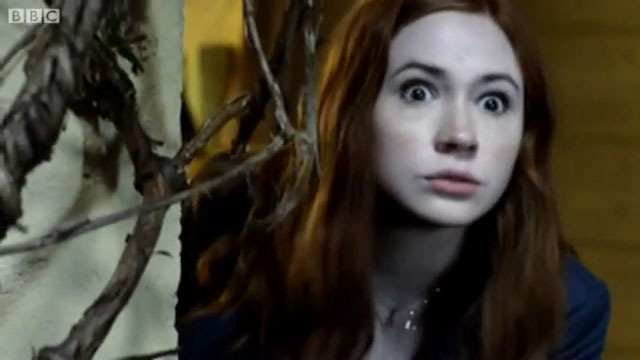 Leaving the TARDIS to explore their rocky surroundings, the Doctor played by Matt Smith and Amy Pond played by Karen Gillan survey the landscape. 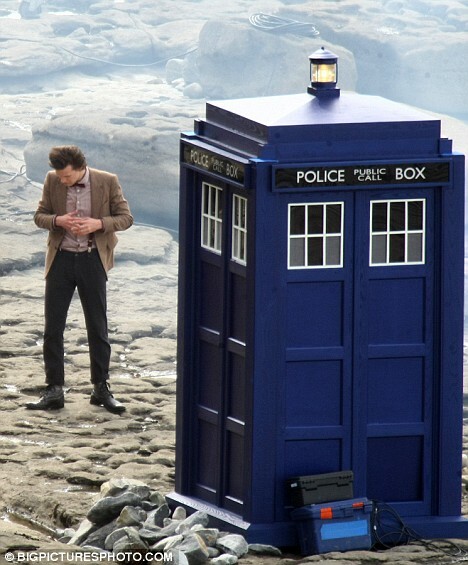 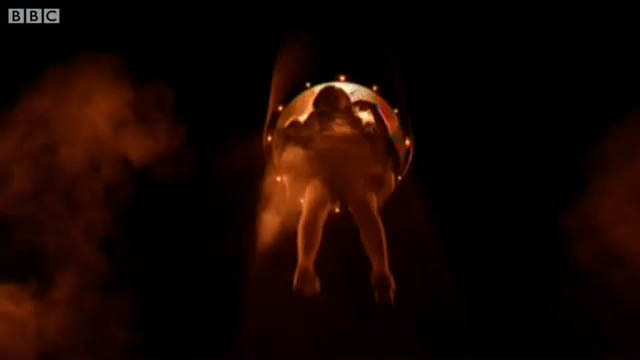 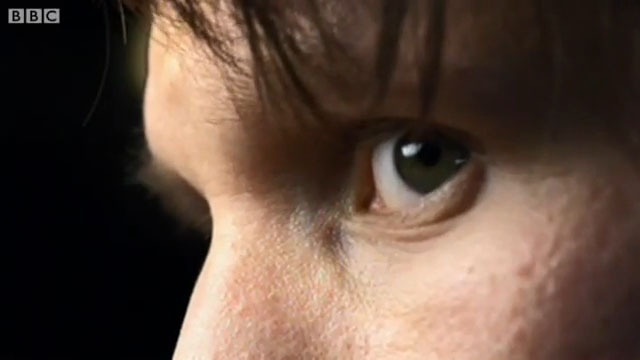 The revamped TARDIS prop shown here has a number of changes to the version which appeared at the end of the David Tennant era. 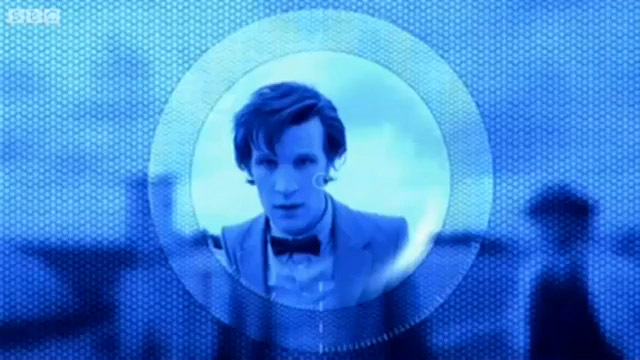 The modifications herald a return to the more 1960s appearance of the Police Box in the show, including the window frames being painted white and the lower corner panels are once more opaque. 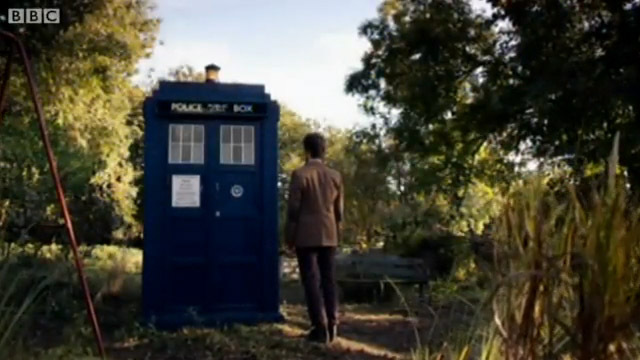 The most noticable difference is the reappearance of the St. John's Ambulance logo on the right-hand door. 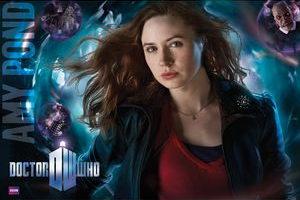 Sadly the telephone panel sign retains the incorrect wording of 'all calls' instead of urgent calls, and you can view the TARDIS prop history page to learn more about how this happened. 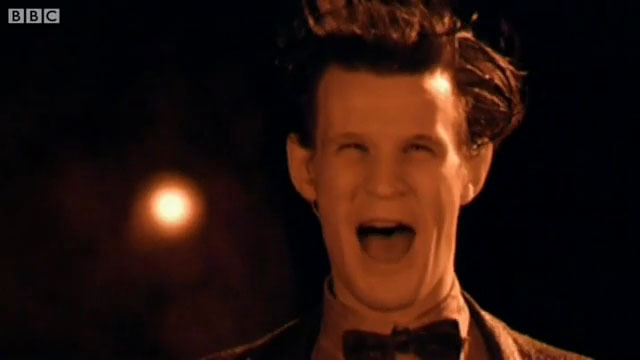 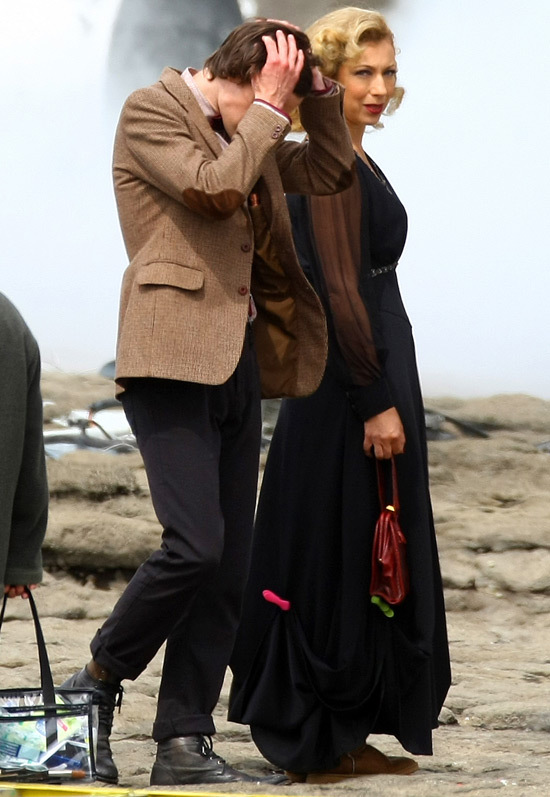 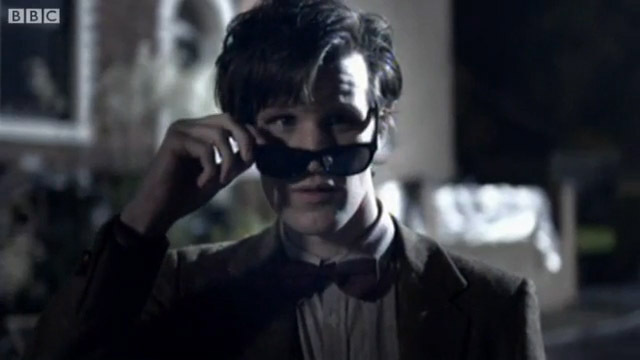 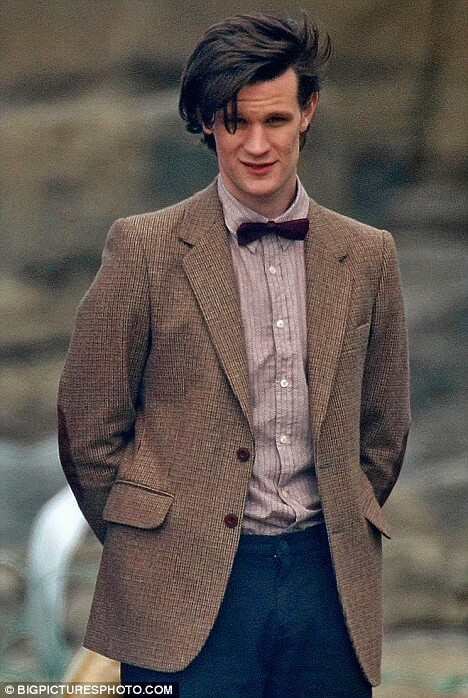 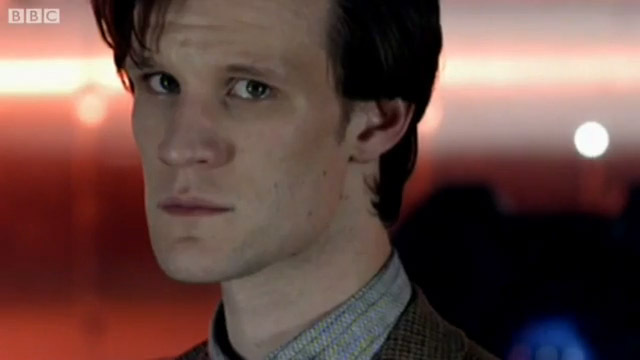 Matt Smith as the Doctor walks along side Alex Kingston.